For many years, my immediate family has celebrated Christmas a few days late. This is on purpose. It started when I was pastoring in Gig Harbor. The days leading up to Christmas were pretty full. So, somewhere between Dec 26 and 31 we would get away for a few days – generally at the coast – and spend time together. It worked even better when our kids began getting married. They could have Christmas Eve and even Christmas day somewhere else, as long as they showed up a few days later. This year 14 of us were in a rented house in Seaside, OR. We bring the Christmas china, the stockings, the presents, even a little tree. It is quite a time. 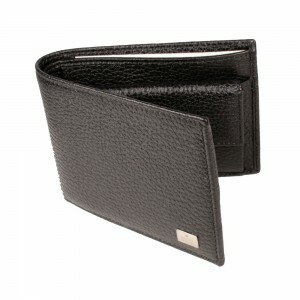 This year one of points of drama happened when we found out our son lost his wallet. He had it when he went to the store one evening, but could not find it the next day. He was wearing sweat pants with loose pockets, so it fell out somewhere, but could not locate it. Thirty hours after it came up missing he needed to board a flight home, showing his ID. He looked everywhere. The couches, the car, upstairs, downstairs, even places in the house he had not been. No wallet. I bribed the six grandchildren to help. A $5.oo reward produced lots of activity. But no wallet. The adults looked too. And we called the store. Together we had probably logged close to 5 “man-hours” looking for it. But no wallet! As soon as I prayed, I went off to brush my teeth. Before I could get them brushed, my son-in-law came and asked, “Do you have that $5.00?” What??? Are you kidding me? He looked in the same couch as about a dozen others of us had looked and… there it was! The wallet was found about 2 minutes after we had prayed together..
First a little report… The times of prayer at Clark County High Schools was great! Over 200 people invested an hour praying at, for and even in 22 High Schools across our county between August 20-23. Some whole youth groups came to pray. The Lord lead and some very creative prayers were prayed. At some schools, people prayed based upon the school’s mascot (the Eagles) or a sign (“Safe Zone”) or a specific verse (Psalm 24:7 or Luke 2:52) or a specific request from an employee (“Right over there is where most of the fights start.”). God heard and will answer these prayers! Now to the seminars… Over the next two Sunday/Monday’s (Sept 14-15 and 21-22) I get to present two different seminars in two different locations, based upon the two books I have written. Sept 14-15 I will present the Living Prayer Seminar at Turning Point Christian Center in Vancouver, WA. This is 6 hours of fun and encouragement to help people take Jesus’ clear and simple instructions about how to pray far more seriously than they ever have before. Then, Sept 21-22 I will present the United and Ignited Seminar at Bethel church in Everett WA. This 6 hours of corporate prayer (with some instruction on how to facilitate Dynamic Corporate Prayer) is sponsored by Awakenings Prayer Institute. Individual prayer – corporate prayer. I am blessed to share these truths and invite you to join us (if you are close enough) and/or pray for us. Scripture tells us to “rejoice with those who rejoice.” I invite you to rejoice with me. On a recent trip to Birmingham, AL. which included facilitating a Pastors’ Prayer Summit, a morning of prayer for intercessors, and also an evening of prayer for the persecuted church, I was encouraged by more than the normal responses of the pray-ers. I was also encouraged by some specific comments about both of the books I have written. At the Prayer Summit, two pastors mentioned to me personally, then also publicly, that they had purchased a copy of United and Ignited: Encountering God through Dynamic Corporate Prayer the previous year and that it was changing the way their congregations were praying. They had both read it , spent time sharing it with others and the prayer life of their congregations was now deeper than before. A couple days later as about 90 of us gathered to pray for the persecuted church, a man introduced himself to me with these words: “I my name is ____. I am happy to meet you because I (basically) got saved reading your book.” Here is more of the story. His pastor had purchased 20 copies of Living Prayer: The Lord’s Prayer Alive in You. He took a group of men through the Study Guide. During that study, this man made a significant commitment to Jesus. Honestly, I did not ask him what he meant by “basically” – so my assumption is that he had some relationship with Jesus prior to this, but this study solidified his relationship with the Lord. Long ago I gave up the idea that I was going to live off the royalties of any book I have written. It really is much more about the message then the money. So, these kind of comments are the real royalties. They caused me to rejoice. You now have the opportunity to rejoice with me. I have heard the phrase (especially related to Prayer Summits) “Seek His face” many times. I have always appreciated it as an encouragement to look to Jesus and appreciate Him simply for who He is. It is a great reminder that our walk with Him is not only about what He does for and in us, but of Who He is. But recently, I came to appreciate it in a fresh manner. My hearing is below average and it doesn’t seem to be getting any better. Not to the hearing-aid-stage yet, but not far from it. (What’s that you say?) So, often times, especially in times of group prayer, I keep my eyes open and look at the face of the one praying. I do this in order to aid, not just my diminished hearing, but also my comprehension of their prayers. If I look at the person’s face while they are praying, I catch more of their heart and soul as well as their words. Last week, as I was pondering seeking God’s face, it dawned on me that another value of seeking His face is to hear Him better. My spiritual hearing is also diminished. I need all the help I can get to hear what He is saying. And I desire to catch not only His words, but also His heart in the message. I want to let His expressions help me understand the nuance of His message. So, just as I keep my eyes open and move my body to see the faces of other pray-ers in order to hear and understand their words, so also, I want to turn my face toward His; I want to move however I need to move in order to see His face, so I can hear both His words and understand His heart better. I recently had the opportunity to be with about 60 other Spiritual Leaders from various parts of the USA. Much of our 24 hours together was spent in prayer. I was blessed to facilitate most of the time, but Gary Frost (a Southern Baptist prayer leader) lead us in a prayer activity that had real life to it. His instructions were simple – the best prayer instructions usually are. Our topic of prayer for this session was the need for more unity in the Body of Christ. Gary asked us to get with one other person and turn to John 17:20-26. He then instructed one person to read one verse and the other person to craft a prayer from one or more of the truths in that verse. John (a brother I had only met a few hours earlier) moved next to me. We opened our hearts and our Bibles and began. I read v. 20. “My prayer is not for them alone. I pray also for those who will believe in me through their message…” John prayed and I agreed with his requests. He then read v. 21. I prayed as he agreed. But a “problem” developed! We did not get to v. 26! We both got so involved in this time of prayer that we only got to v. 23. Now, the goal was not to get to the end, but to pray well with each other. In all my times of corporate prayer, I had never engaged in this simple method. But I will be using it in the future. Anything that helps us focus on praying the truths of Scripture with other believers, is a good process. I also see this basic idea could be modified. Here is one way, I am sure there are many others. I can see groups of three or four together around a passage of Scripture. Here one person would read one verse and all the others would have opportunity to pray from it. Then another person would read the next verse and the others would pray. Simple. Powerful. Scripture-centered, corporate prayer. There are a few commitments that help make corporate prayer work well. As a group sees and accepts these, the Lord will be able to deepen the experience of the pray-ers. A commitment to listen to the Lord and move in His direction, and at His pace. Times of corporate prayer work best to the degree that all of the participants are praying together under the direction of the Holy Spirit. The analogy of us being the Body of Christ is perhaps most evident in a prayer setting. The hope is that each member of the Body will be in sync with the Head of the Body. They may not do or pray the same thing at the same time, but they are all aware of how the Lord is leading them as each one does his/her part. A commitment to listen fully to the prayers of others – so we are not just hearing the words, but really catching the heart and spirit of what is being prayed. Typically we think if we are not saying the words, than we don’t need to really engage in what is being said. The better each pray-er listens to the prayers of others, the better dynamic corporate prayer works. A commitment to have my prayers relate to the prayers of others. Since I am not thinking about my prayer, but rather the prayer being prayed, I am available to hear how the Lord might want me to add to a certain topic of prayer. A commitment to actively participate in the time of prayer. My level of comfort should not be the issue here. The issue is that I have an opportunity to be used by God, to add to the worship experience, to hear or observe what God is saying or doing, or to stand with my brother or sister at a specific point of need. If all (or even most) of the pray-ers actively participate in the process, the flow of God’s mercy, grace, and wisdom can come through more channels. Finally, a commitment to the “ABC’s” of corporate prayer is necessary. I have heard Daniel Henderson describe these as Audible, Brief, and Clear. There may be times, even in a corporate setting, when it is appropriate for a prayer to be heard by only one or two people. But generally speaking, prayers that cannot be heard by the whole group hinder the value of corporate prayer. We should encourage the person praying to pray so the person on the other side of the room can hear them. Also, long prayers can kill meaningful times of corporate prayer. A good general rule is to encourage people to pray single topic prayers. Speeches or sermons in the form of a prayer are far more edifying for the one praying than the ones hearing! Prayers that are clear and to the point, on the other hand, should be encouraged because of the impact they can have. Please note: This information is slightly modified from United and Ignited, QUESTion 1.8 (c) 2012 by Dennis Fuqua. What can a truss bracket teach us about corporate prayer? A few years ago I assisted my brother while the two of us put a roof over our 35 foot travel trailer at our property. He knows what he is doing. I try to do what he tells me. We purchased several types of hardware during this process. 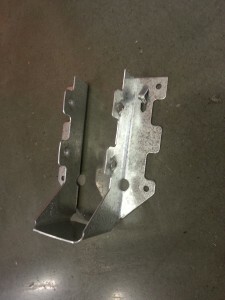 One was designed to secure the trusses to the main cross beam. As I was getting the hang of hanging the trusses, I noticed some of the specifics of this bracket. It was designed at the exact height so when we set the 2×4 into it, it was flush with the top of the beam. It had a handy “one hit” bump on it so it would then stay put while I put in the rest of the nails. After I nailed it to the beam, I could rest the 2×4 on the lower ledge while I nailed it secure. And the side nail holes were even staggered so the nails would not hit each other. The more I looked at it, the more I realized it was put together by someone who had done this job before. They had faced and addressed the issues they knew I would face and very skillfully designed a tool to make my job easier. That bracket has reminded me on many occasions that if I am going to help instruct others in corporate prayer, I first must be a good student of corporate prayer. Great book! Thanks for sharing ideas, experience, and how God has led you! Last Wednesday I asked our small prayer group if they wanted to experiment with lifting up and praising the Lord by praying 4 verses in Col. 1. They did, and reported at the end that they had a glorious time. Our first prayer team meeting was held today by our new prayer team pastor; lots of great participation and ideas shared. I gave fair warning they will be getting your book soon. I completed my list of 20 candidate recipients today. Because I have had the privilege of facilitating many hours of corporate prayer at Prayer Summits and in various settings, I have developed a desire to have other people be successful at facilitating corporate prayer. 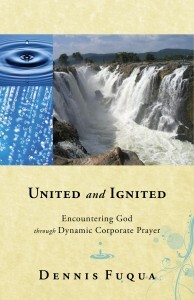 In the fall of 2012 United and Ignited: Encountering God through Dynamic Corporate Prayer was published. Posts here will relate to the book, a companion seminar, and things related to corporate prayer.